Senator rants that childless people shouldn’t subsidise kids. Parliament is supposed to representative of our society. But when it comes to those oppressed and marginalised, the childless amongst us aren’t the first people that spring to mind. They are the ones usually out enjoying brunch unburdened by strollers and nappy bags, going to Friday night drinks without giving babysitters and dinner plans a second thought and sleeping in instead of having their heads jumped on by hyper youngsters. But apparently the besieged SINKs and DINKs of the world are the long-forgotten sufferers. Those poor unencumbered childless people. At least according to Liberal Democrats Senator David Leyonhjelm, who has thanked those who have not procreated and gone out on a limb on their behalf, arguing they shouldn’t have to support parents and children. “To the childless people of Australia I want to say, on behalf of this parliament, thank you for being childless,” he said, Fairfax Media reports. He apologised to childless couples and singles for the fact they are often ignored or ostracised. “Thank you for all you do for others. I am sorry that rather than receiving thanks, you are often ignored, pitied, considered strange, or even thought of as irresponsible,” he said. The senator was speaking in support of the ‘no jab, no pay’ policy, which withholds family payments of up to $15,000 a year from parents who do not have their children vaccinated and was passed by Parliament on Monday. “It’s bad enough that people continue to bring wave upon wave of these little blighters into the world,” he said. 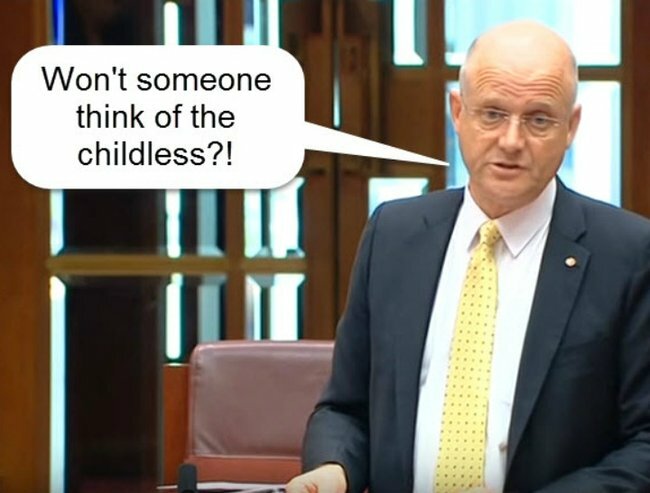 Senator Leyonhjelm said making childless people fork out for other people’s personal choices was cruel. 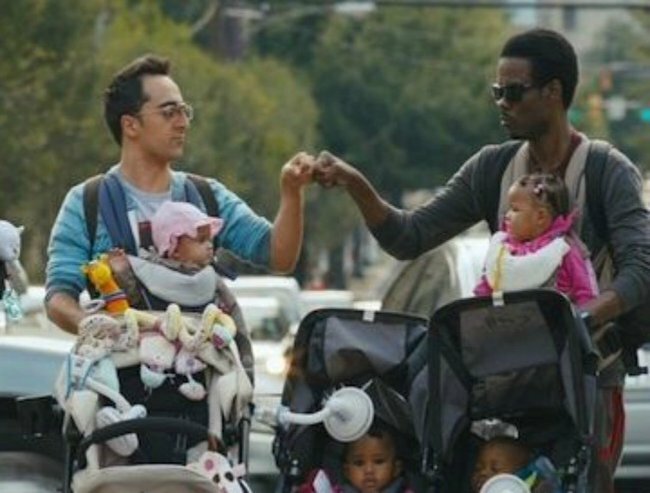 “Some people are childless by choice and are happy with that choice. There is no moral case to make them subsidise other people’s choices,” he said. “Since it is about time somebody did, I rise to ask: won’t someone please think of the childless?